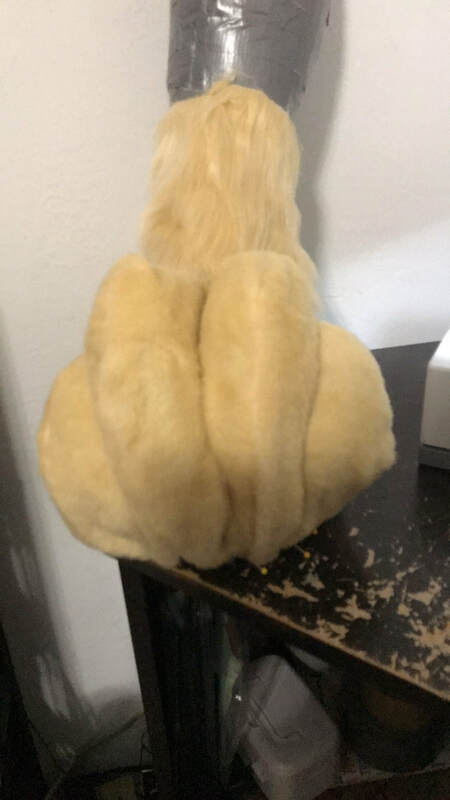 Head, bodysuit, hand paws, tail, and feet paws. 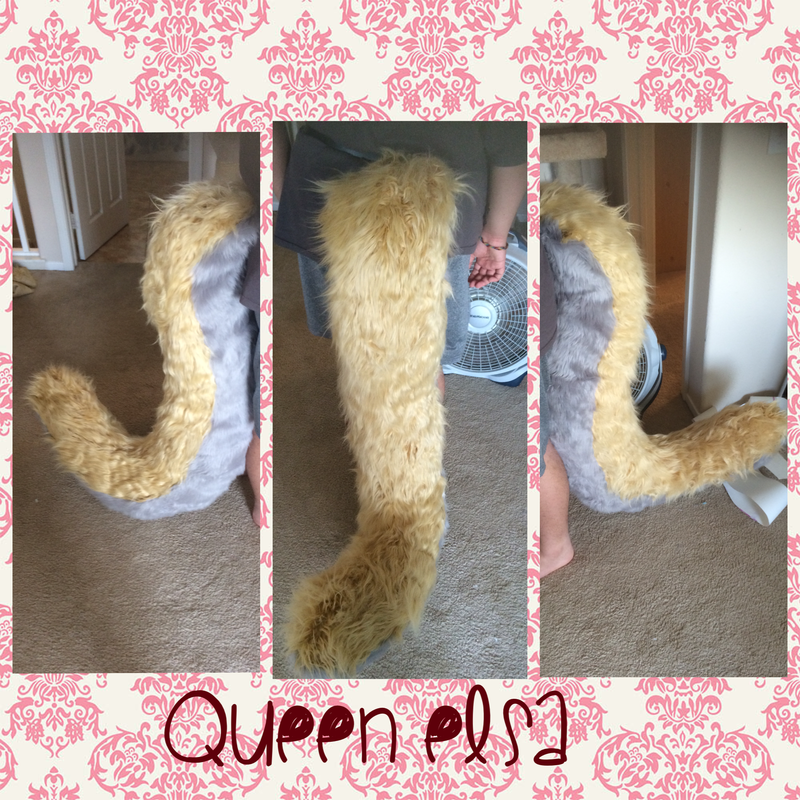 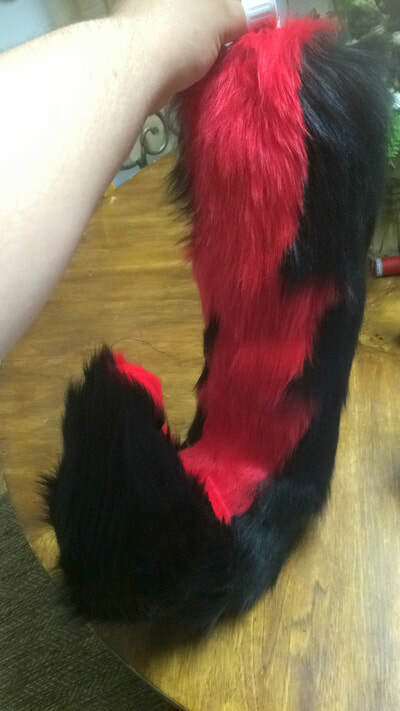 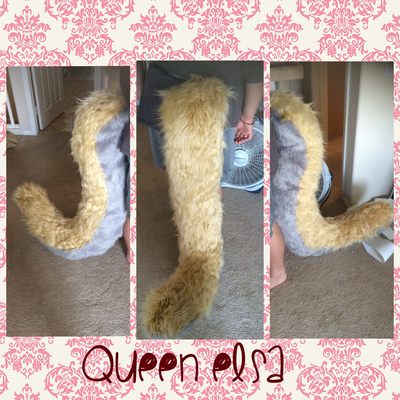 Head, arm sleeves, hand paws, a tail, digitigrade legs, and feet paws. 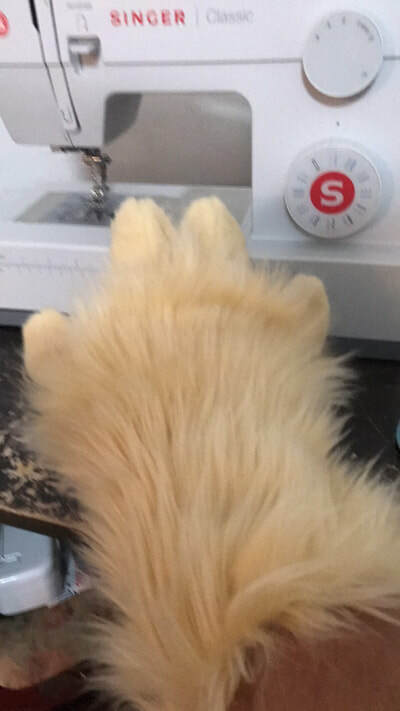 Head, arm sleeves, hand paws, a tail, and feet paws. 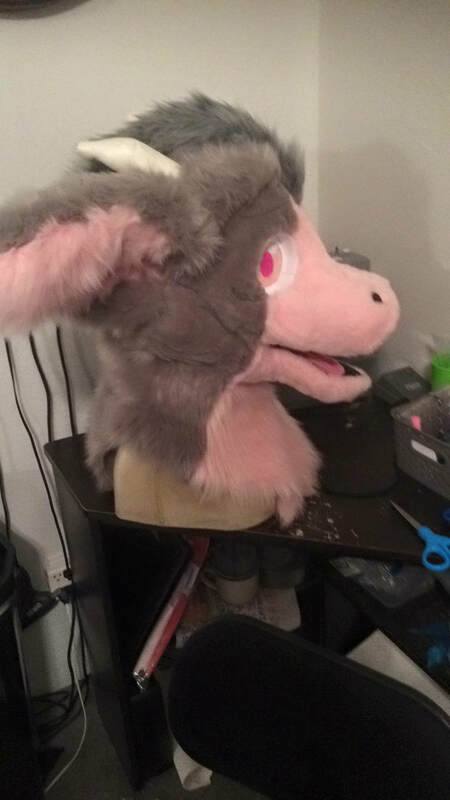 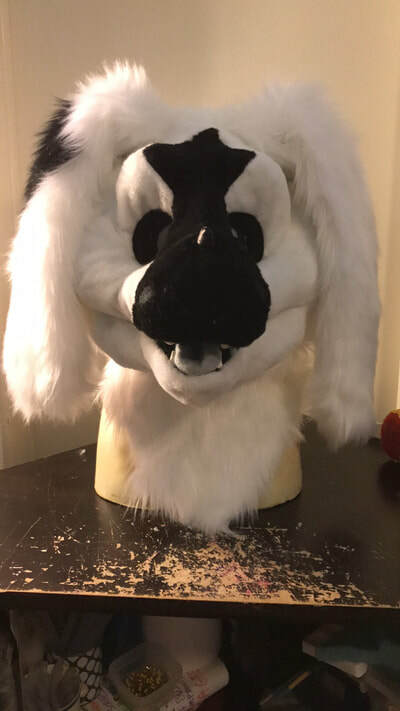 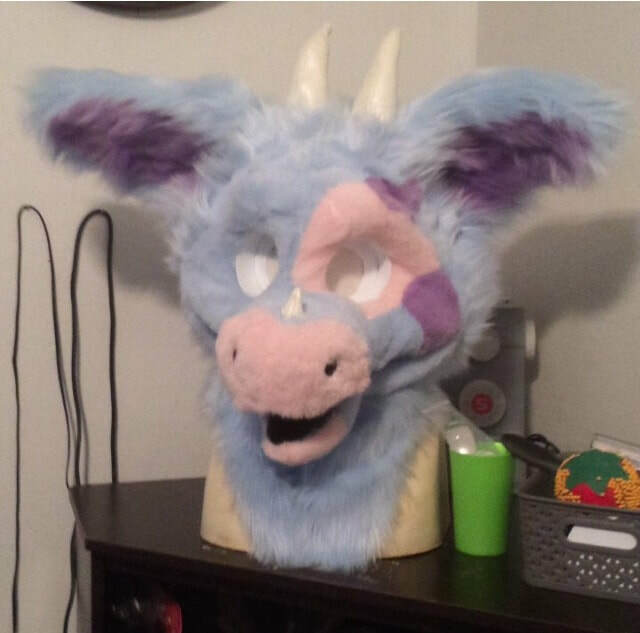 Follow-me eyes, fleece or minky nose, fleece tongue, and sculpey, resin, fleece, or vinyl teeth. 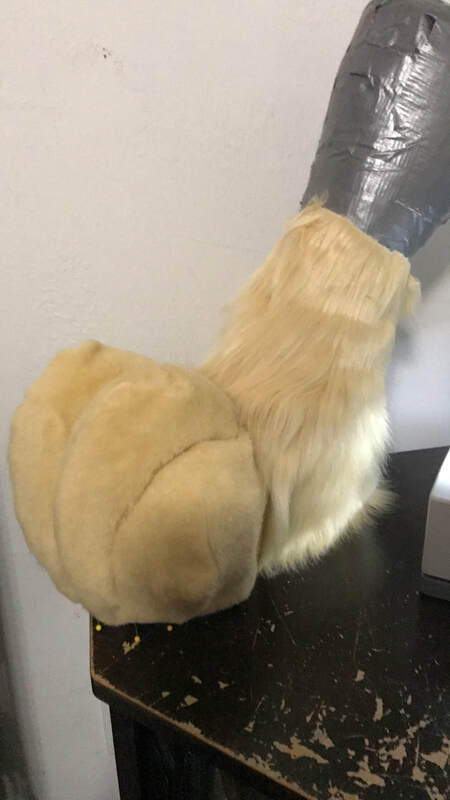 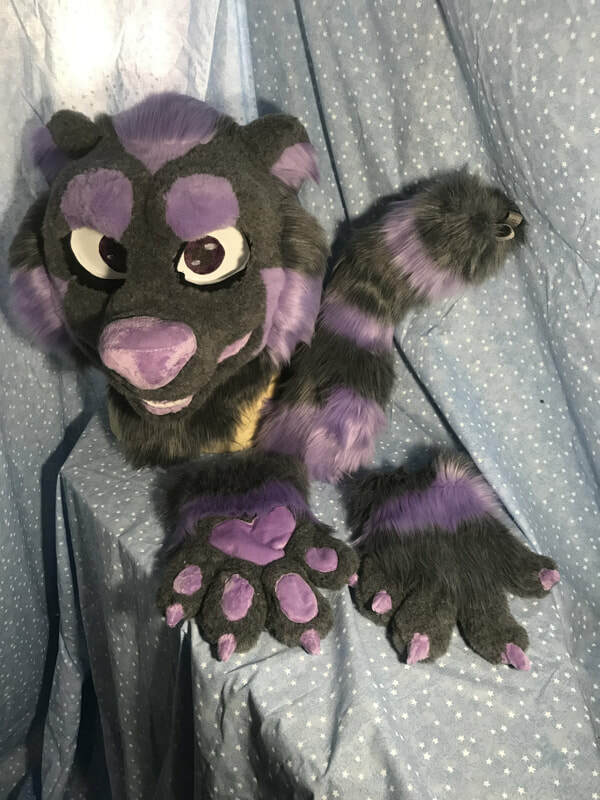 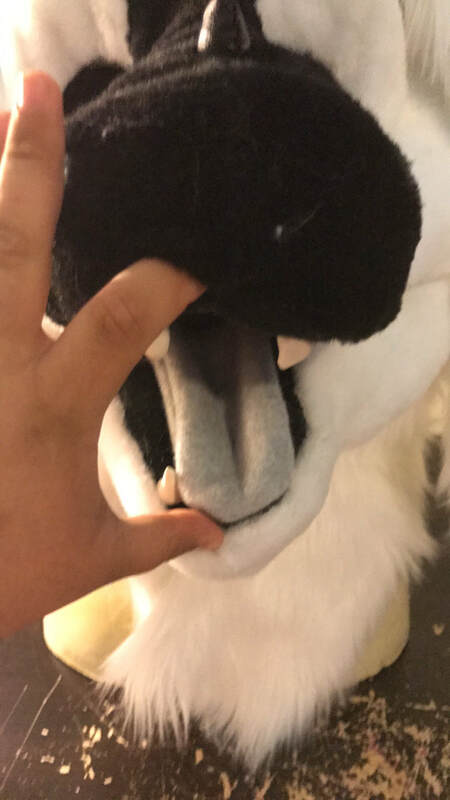 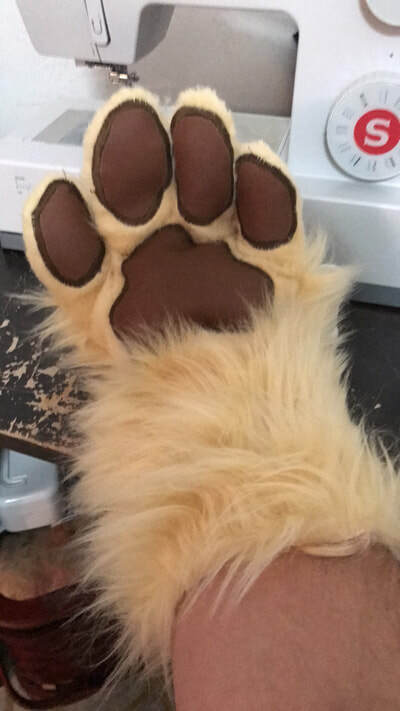 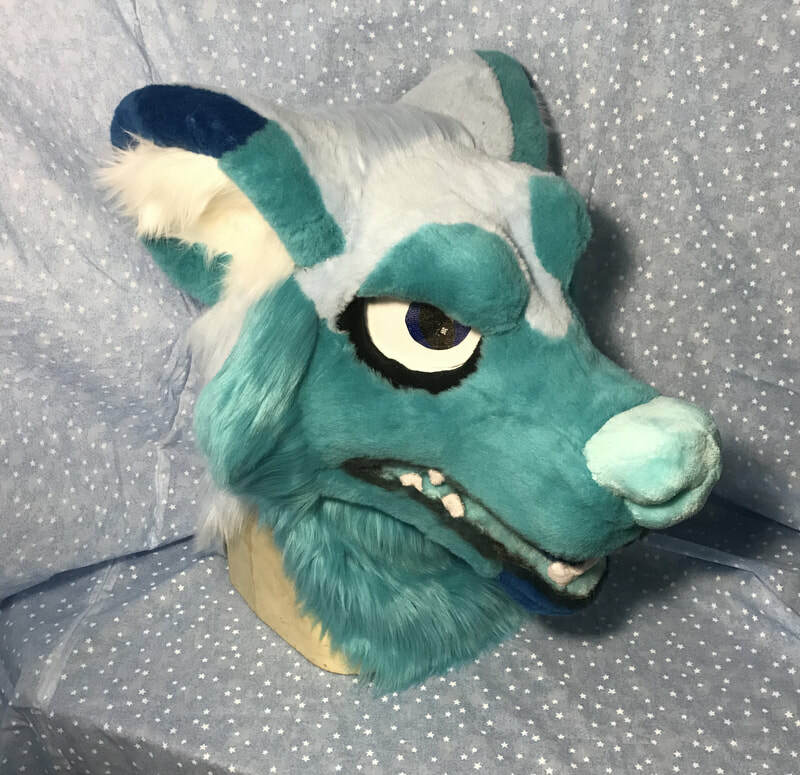 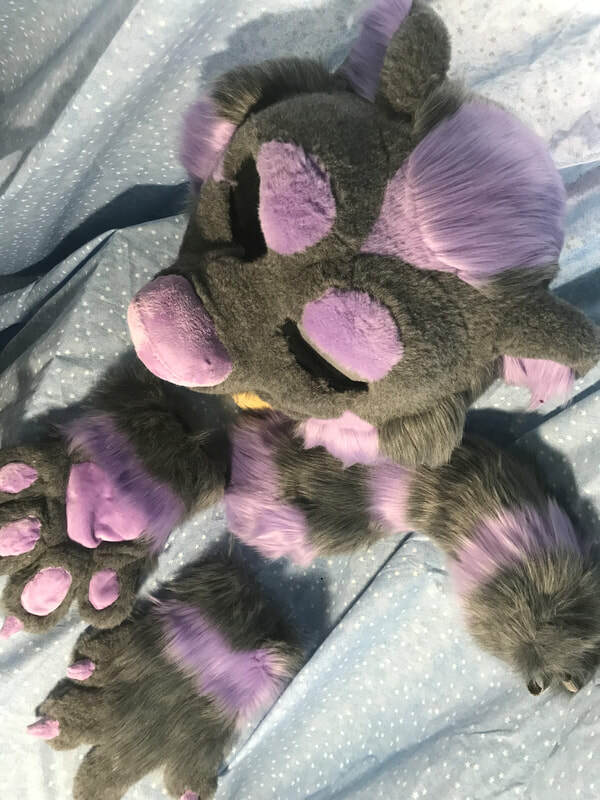 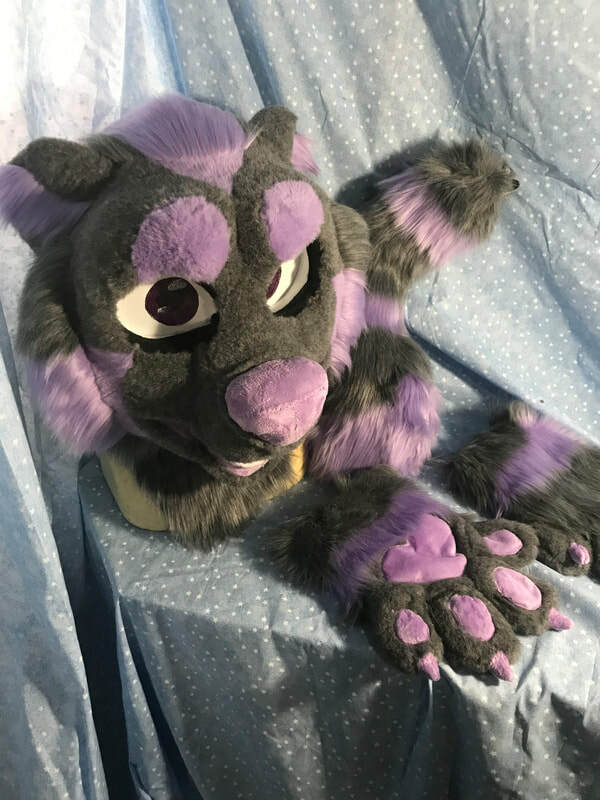 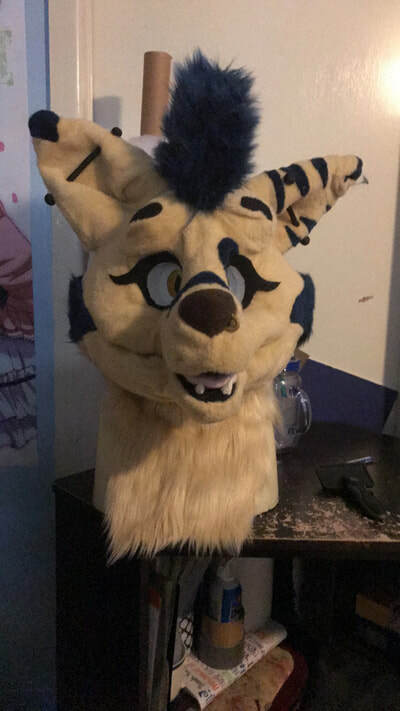 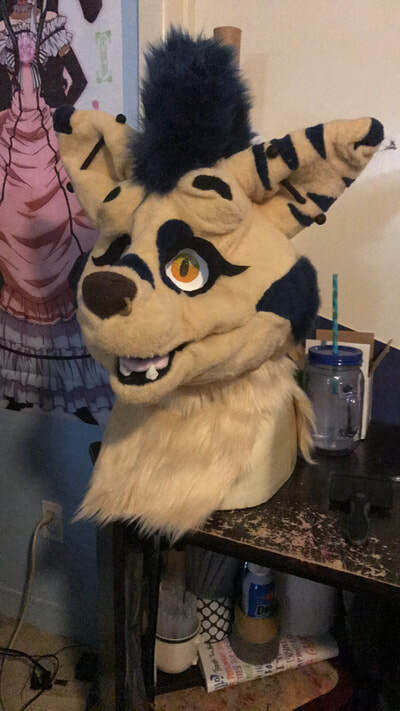 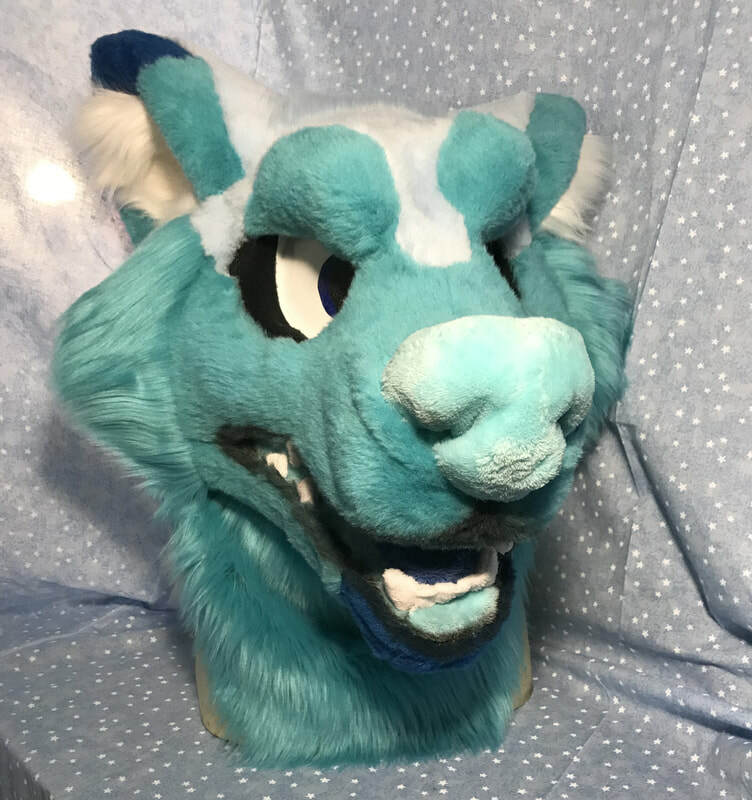 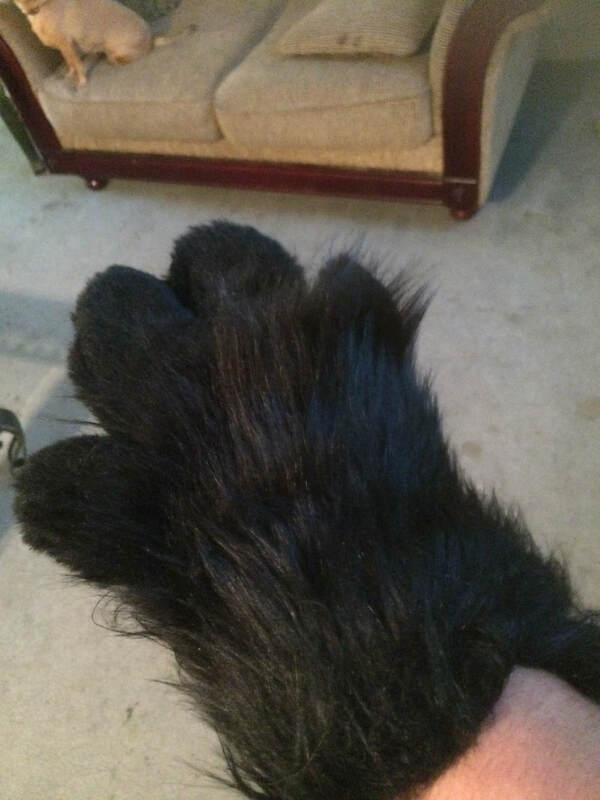 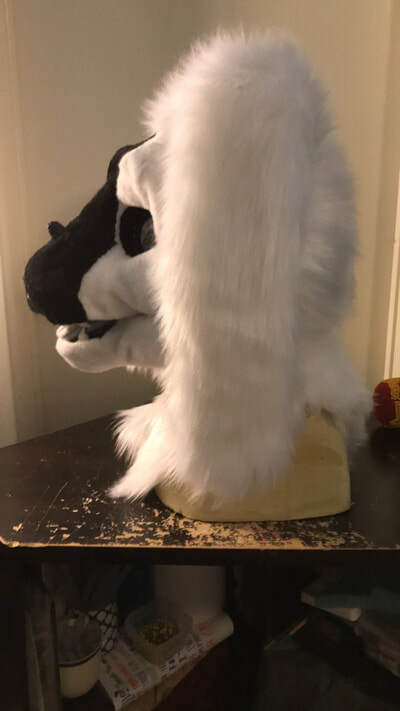 ​Shaved down fingers, shaved palm, minky or fleece paw pads, a light amount of stuffing in the paw pads, and if claws are wanted they are made of fleece, resin, minky or vinyl. 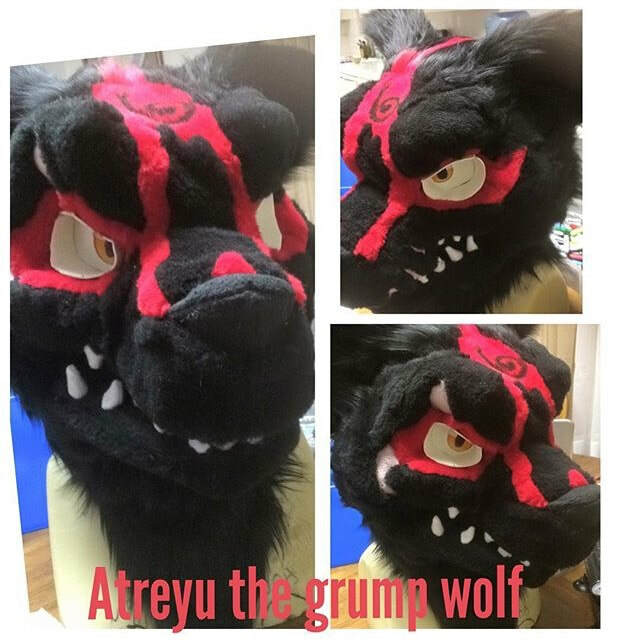 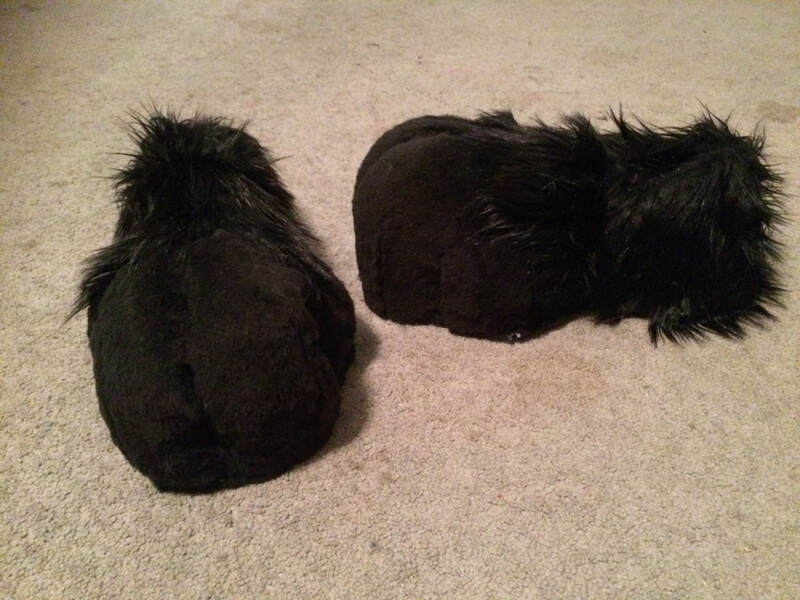 Shaved toes, EVA foam bottoms, and if claws are wanted they are made of fleece,resin, or vinyl. 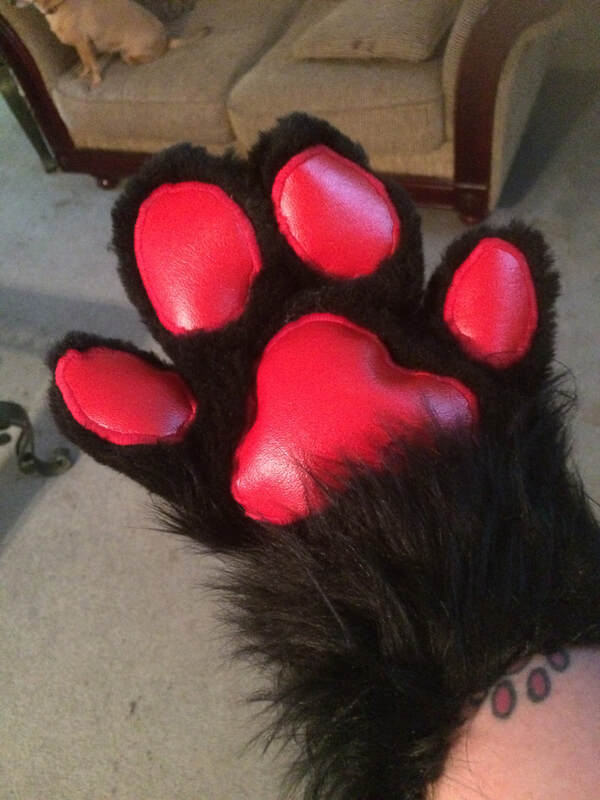 Custom sized to fit you, an elastic band to hold them in place, and hemmed edges around the top of your arm. 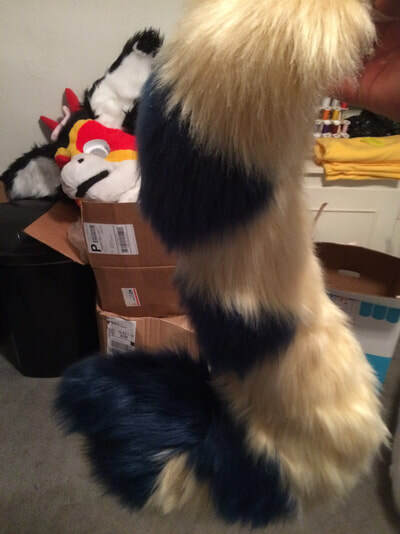 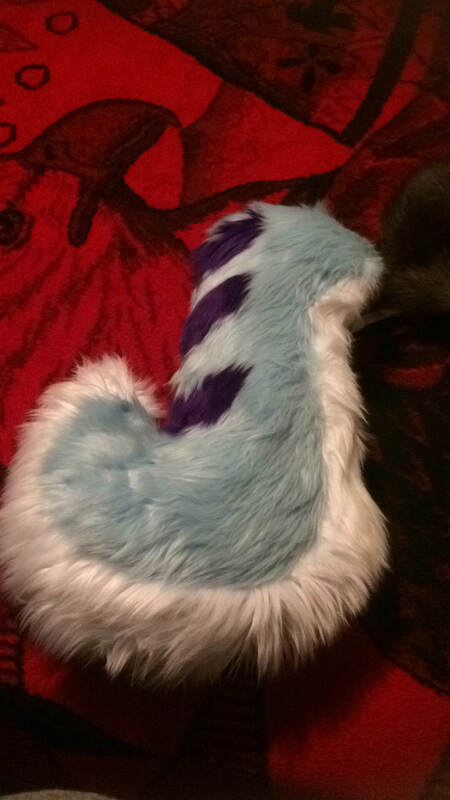 Elastic bands to hold the tail in place, and your choice of soft, medium, or firm stuffing. 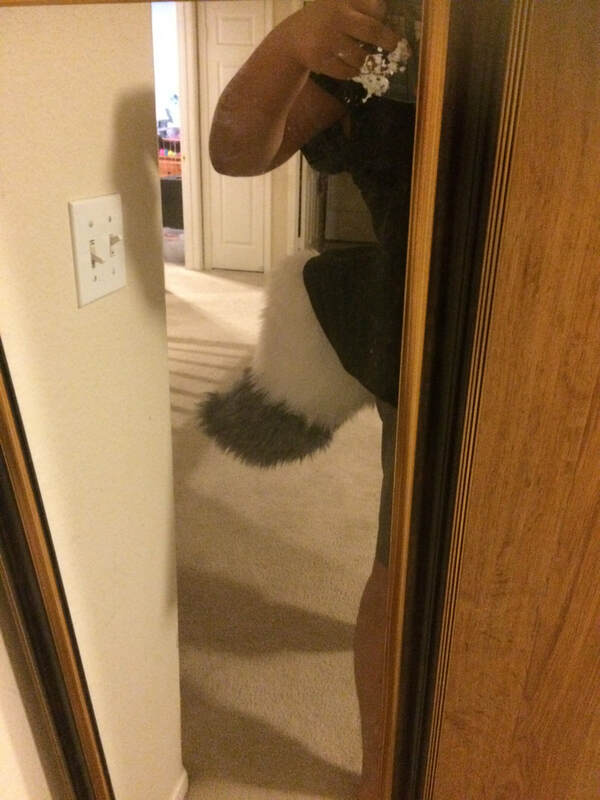 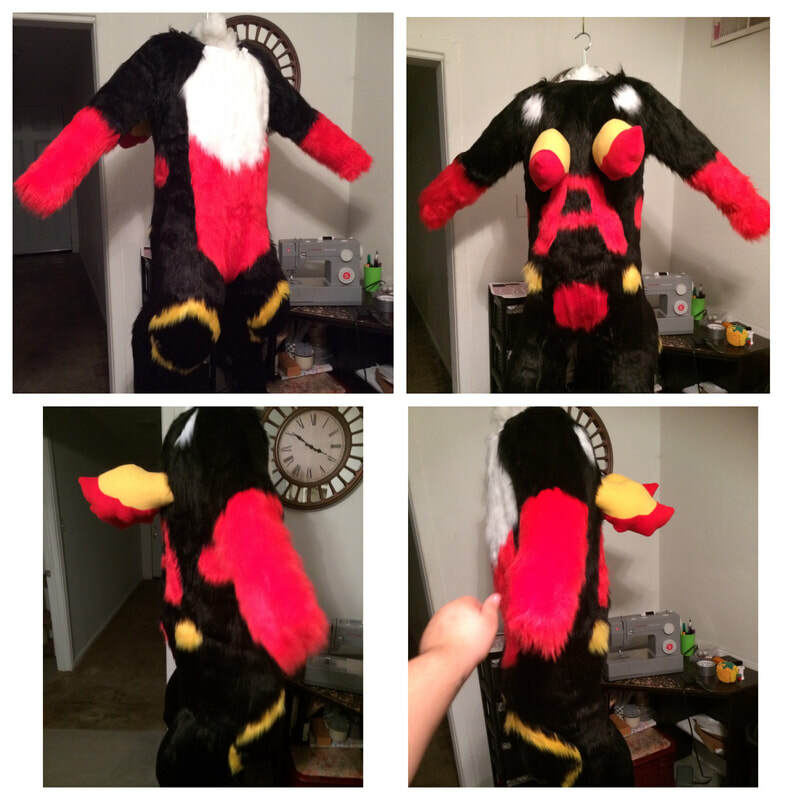 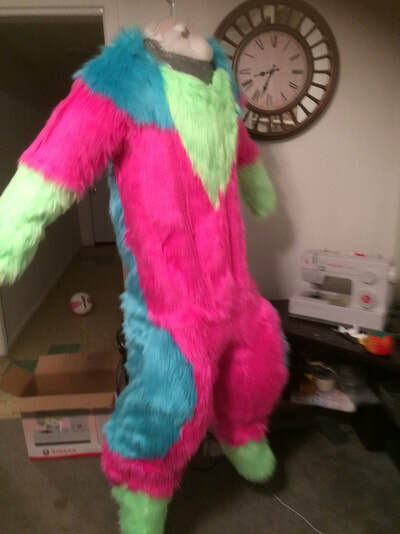 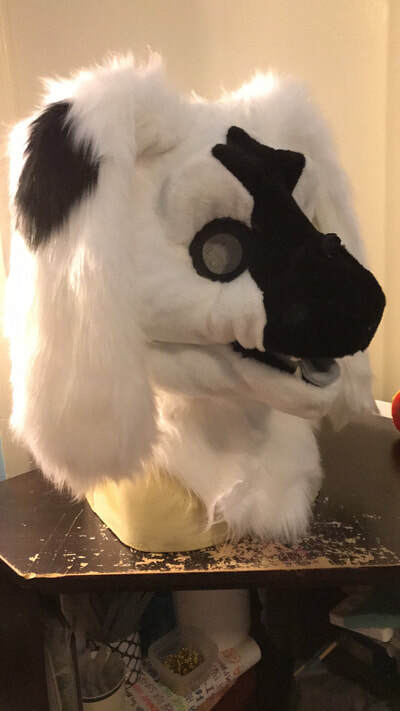 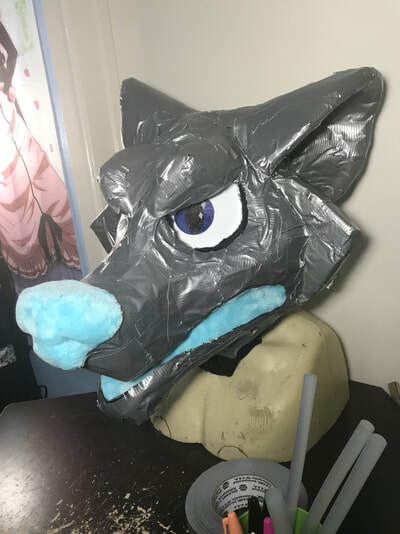 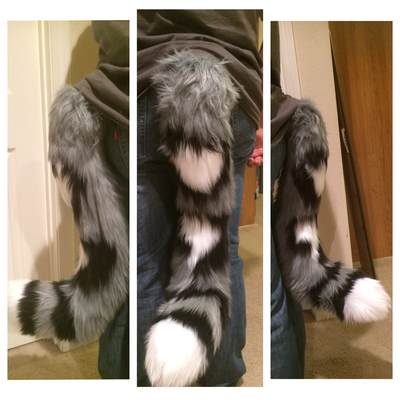 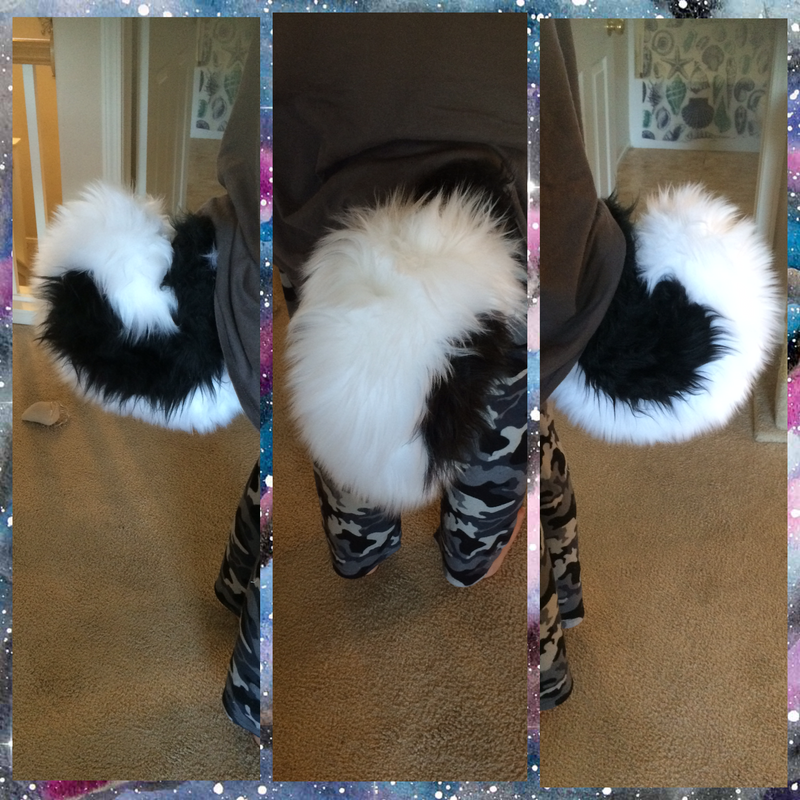 custom fitting to you via a duct tape dummy, if digitigrade fleece or foam padding, and for an additional price a shaved tummy. custom fitting to you, a shaved tummy for an additional price. Custom fitting to you,and a shaven crotch area for an additional price.